Within this age of metaphysics, between Descartes and Hegel, Rousseau is undoubtedly the only one or the first one to make a theme or a system of the reduction of writing profoundly implied by the entire age. He repeats the inaugural movement of the Phaedurs and of De interpretatione but starts from a new model of presence: the subject’s self-presence within consciousness or feeling. What he excluded more violently than others must, of course, have fascinated and tormented him more than it did others. Descartes had driven out the sign–and particularly the written sign–from the cogito and from clear and distinct evidence; the latter being the very presence of the idea of the soul, the sign was an accessory abandoned in the region of the senses and the imagination. Hegel reappropriates the sensible sign to the movement of the Idea. He criticizes Leibniz and praises phonetic writing within the horizon of an absolutely self-present logos, remaining close t itself within the unity of its speech and its concept. But neither Descartes nor Hegel grappled with the problem of writing. The place of this combat and crisis is called the eighteenth century. Not only because it restores the rights of sensibility, the imagination, and the sign, but because attempts of the Leibnizian type had opened a breach within logocentric security. We must bring to light what it was that, right from the start, within these attempts at a universal characteristic, limited the power and extent of the breakthrough. Before Hegel and in explicit terms, Rousseau condemned the universal characteristic; not because of the theological foundation which ordained its possibility for the infinite understanding of logos of God, but because it seemed to suspend the voice. “Through” this condemnation can be read the most energetic eighteenth-century reaction organizing the defense of phonologism and of logocentric metaphysics. What threatens is indeed writing. It is not an accidental and haphazard threat; it reconciles within a single historical system the projects of pasigraphy, the discovery of non-European scripts, or at any rate the massive progress of the techniques and deciphering, and finally the idea of a general science of language and writing. Against all of these prussures, a battle is then declared. “Hegelianism” will be its finest scar (98-9, bold mine). 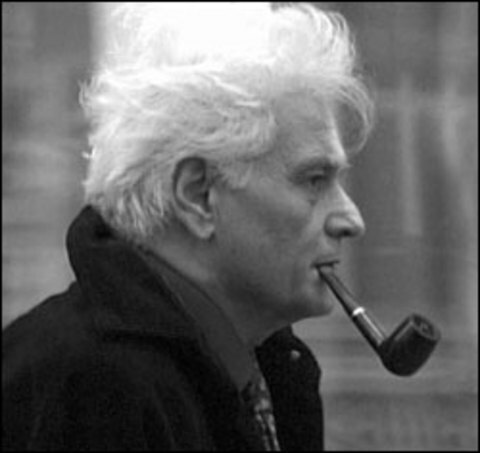 Derrida, Jacques. 1997. Of Grammatology. Translated by Gayatri Chakravorty Spivak. Baltimore, MD: John Hopkins University Press. Derrida, Jacques. Of Grammatology. Trans. Gayatri Chakravorty Spivak. Baltimore, Maryland: John Hopkins University Press, 1997.